Hey guys, hope your week is going good! We have ALMOST made it to Friday! YAY! Anyway, I found this sweater at Marshalls a few days ago, and I am obsessed with the color for fall. I was unable to find it online for you, but I found a super similar option at Kohls! 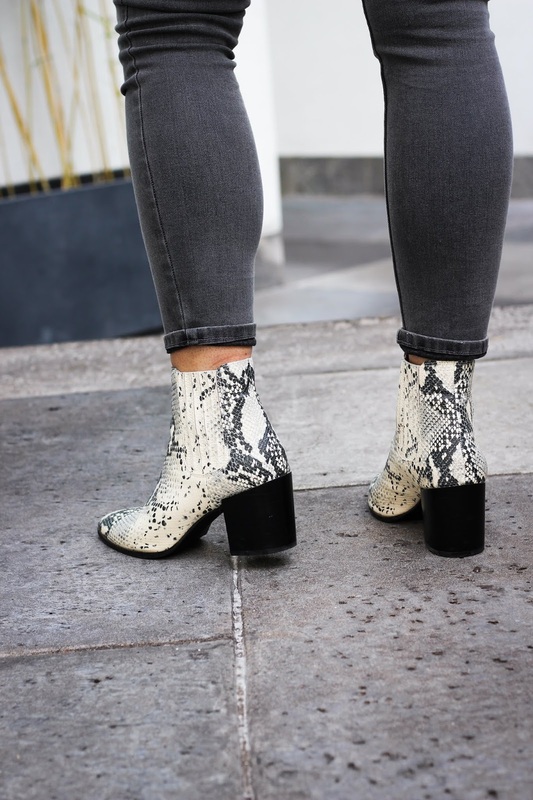 I decided to pair it with my grey jeans and snakeskin booties and I love the contrast in colors! 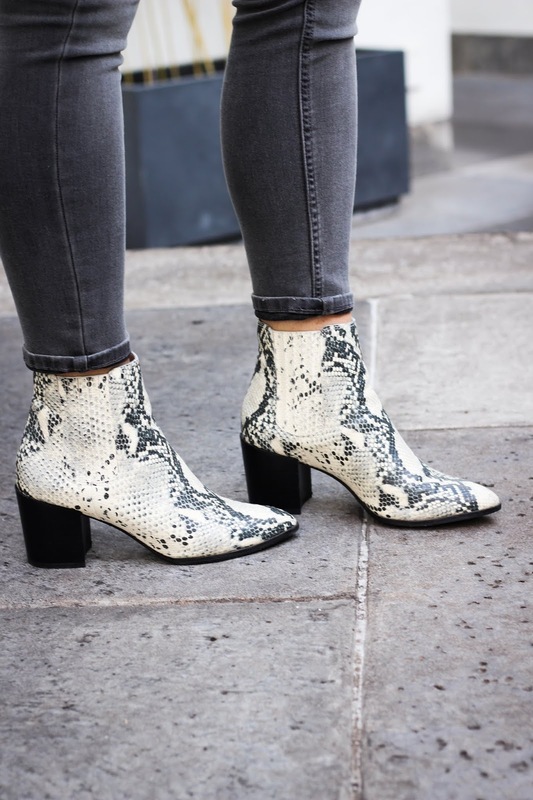 I've been getting so much wear out of these booties lately, and I just happened across another pair os snakeskin booties that are SO CUTE-I have them linked above! Also, I wanted to point out my adorable James Avery ring! I am obsessed and already want another one to stack! 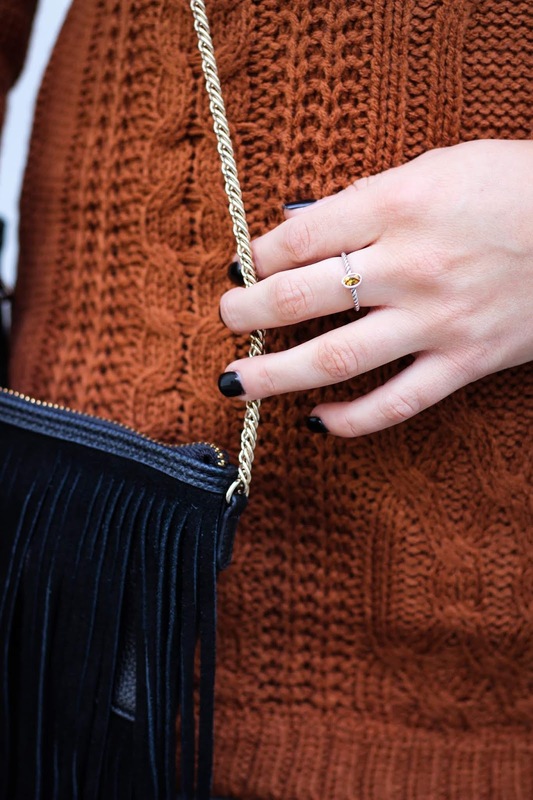 They've got so many cute pieces out right now-check out some of the adorable pieces here! Anyway, I'm looking forward to this weekend! Friday we are going to see Justin Moore in concert-which I am stoked about, I haven't seen him in forever! And a Halloween party Saturday night! I can't believe we are SO close to Halloween, its crazy!